This trip was a highlight for the 2013-14 winter, or in this case almost summer, season. 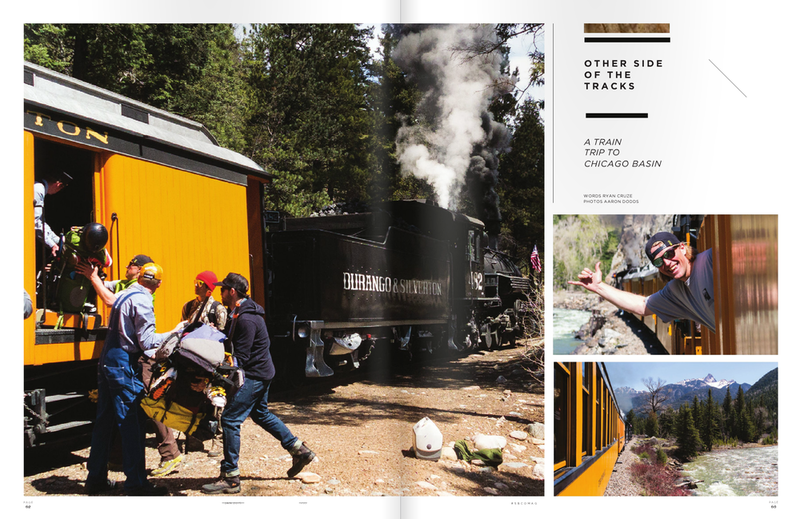 Along side Ryan Cruze, Mark Koelker, Mike Hood and Ritchie Colasanti, we boarded the Durango and Silverton Narrow Gauge Railroad in Durango and got dropped off in the middle of no where, Southwest Colorado. Despite a low snow year and a warm spring, the peaks were still holding and just being out there was nothing short of amazing. It had been over 10 years since visiting this mountain range and it was great to be back. Aside from a knee injury on the approach the trip was a roaring success and I look forward to doing something similar at the end of this winter. It was a great way to say good bye to winter and hello summer!